Fig. 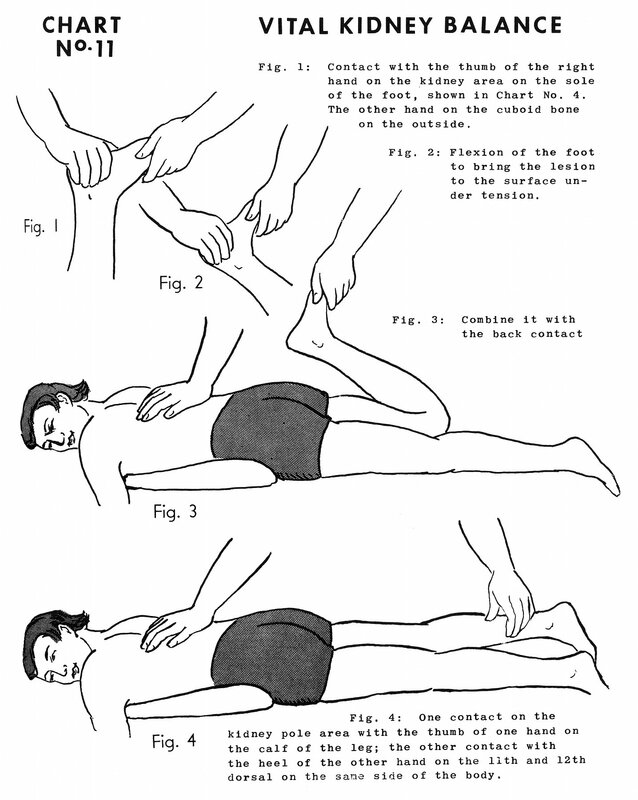 1: Contact with the thumb of the right hand on the kidney area on the sole of the foot, shown in Chart No. 4. The other hand on the cuboid bone on the outside. Fig. 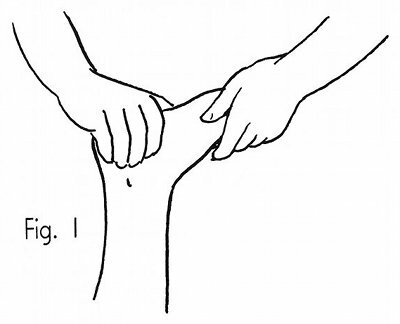 2: Flexion of the foot to bring the lesion to the surface under tension. Fig. 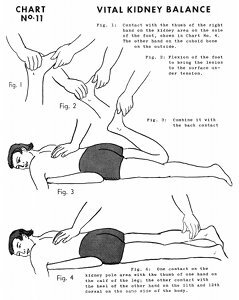 4: One contact on the kidney pole area with the thumb of one hand on the calf of the leg; the other contact with the heel of the other hand on the 11th and 12th dorsal [eleventh and twelfth thoracic, T11, T12] on the same side of the body. Book 5, "Explanation of Chart No. 11"